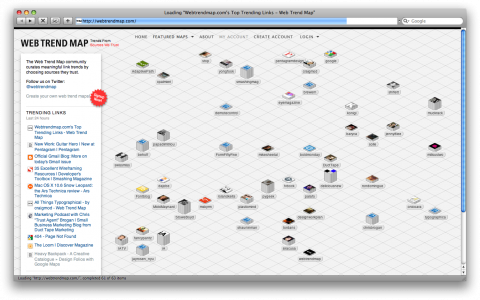 Oliver Reichenstein and his team of iA and Craig Mod just got a ‘wow’ out of me upon seeing the webtrendmap.com site. If you buy one of their fantastic Web Trend Map Posters you get an online account and can start your own custom map. Read more on their about page.